Erin Owen, author of Refuel Recharge and Re-energize: Your Guide to Taking Back Control of Your Time and Energy, joined Total Leadership’s client services team in 2005. She earned her MBA from the Kellogg Graduate School of Management at Northwestern University and her graduate certificate in International Studies from the Hopkins-Nanjing Center in Nanjing, China. She holds a B.A. in Chinese Studies from Grinnell and certification in Health Coaching from the internationally recognized Institute for Integrative Nutrition in Manhattan, where Drs. Deepak Chopra, Andrew Weil, and Neil Barnard are faculty members. Drawing on over two decades of experience ranging from organizational change management consulting to leadership coaching, Erin has consulted with and coached hundreds of entrepreneurs, business leaders, C-suite teams, and private individuals from more than 15 countries in the Americas, Europe, the Middle East, and Asia. She takes a unique East-meets-West approach to helping clients more effectively manage their professional lives, grow their leadership capacity and resilience, and lead healthier, happier, more productive lives. Erin is working mother and avid traveler who regularly leads learning groups to Asia. She is passionate about teaching a more sustainable way of living and working—a simpler, more harmonious way that allows us to thrive while preserving what is most precious and important. Erin and Stew discuss how she helps people grow as leaders. She describes her easily accessible method for identifying what a person needs to change and how they can change it while cultivating healthy relationships. 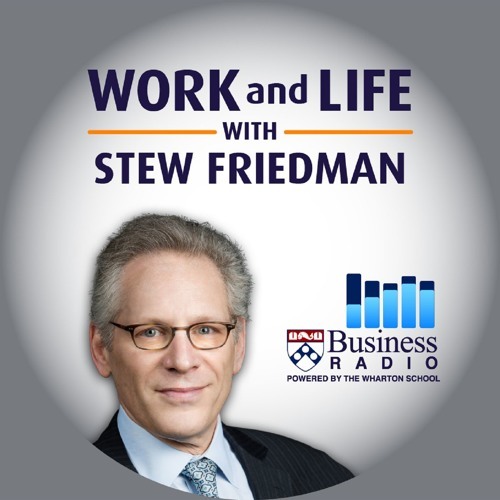 To illustrate, Stew and Erin talk to someone who called the radio show about how he can improve the management of his priorities in his professional life and his family life.